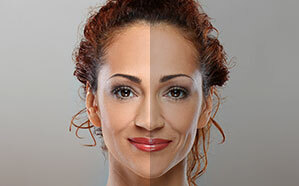 The liquid facelift is a treatment that combines different injectables to create comprehensive, powerful rejuvenation. With just a series of injections, Dr. Machida can target the deep creases, fine wrinkles, sunken cheeks, and tear troughs that have prevented you from looking young and refreshed. While surgical procedures like the face lift can lift sagging skin, a liquid facelift can hone in on the finer signs of aging. A liquid facelift can also help someone restore volume and definition to sunken cheeks, smooth out the tear troughs under the eyes, smooth out deep wrinkles, soften the appearance of expression lines, and plump the lips. 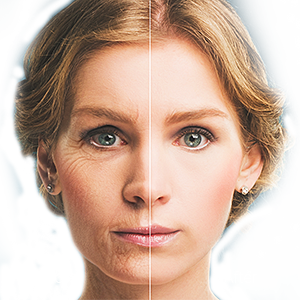 What Injectables Can Be Used with the Liquid Facelift? To learn more about BOTOX®, click HERE. To learn more about Dermal Fillers, click HERE. Who’s a Candidate for the Liquid Facelift? Dermal fillers and neuromodulators are safe to use for patients of all skin types, and they’re FDA-approved to treat a wide variety of conditions. Almost anybody can be a candidate for the liquid facelift, but many of the patients that choose the liquid facelift are typically ones that want an alternative to surgical rejuvenation. If you want a more radiant look without having to commit to a surgical procedure, then the liquid facelift might be for you. Before each liquid facelift, Dr. Machida will thoroughly analyze the face to determine what fillers will work best and where they should be injected. 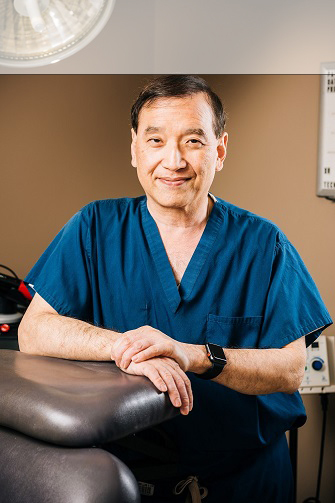 Dr. Machida will walk you through your choices for the liquid facelift: what injectables are optimal for your needs, what injectables will be the most convenient, and what your maintenance schedule will be like. If you’d like to know more about what your liquid facelift will be like, contact Second to Creation in the Inland Empire. Is a Liquid Facelift Painful? The liquid facelift is not painful at all. All of our injectables have lidocaine in the formula, and Dr. Machida often applies a local anesthetic to the face before any injectables are administered. Your injector’s technique also makes a difference, which is why Dr. Machida performs each liquid facelift with the patient’s comfort in mind. How Do I Maintain the Results of a Liquid Facelift? Each liquid facelift will be fully customized for each patient, so the exact maintenance routine will vary patient to patient. Each injectable lasts for a different amount of time; BOTOX® typically lasts for about 3-6 months, while fillers like Sculptra® have been known to last for as long as two years. You will need to return for touchups at different times depending on which injectable needs to be maintained. Dr. Machida will help each patient schedule their liquid facelift based on what injectables they used. What’s the Recovery Like for a Liquid Facelift? There’s no downtime or recovery period required for a liquid facelift, although patients do experience some temporary side effects after the treatment. Patients experience anywhere from soreness, bruising, and swelling at the injection sites, but these typically go away after a few days. Will a Liquid Facelift Replace a Traditional Facelift? A liquid facelift won’t replace a traditional facelift. A regular facelift will lift sagging skin, restore muscle tone, and shift fat pads on the face, while a liquid facelift targets specific signs of aging like volume loss, wrinkles, and deep creases. If you have a substantial amount of sagging skin in the lower face and upper neck, Dr. Machida might recommend a traditional lift instead.